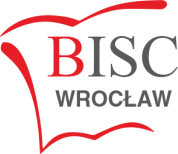 In order to obtain the school uniform, you need to enter into your computer the following link www.mark-mundurki.pl and then click on ‘internet shop,’ after which you enter our password biscw (you will note the option of languages on the right-hand side). Here are the uniform requirements for our school. Please note, that items outside this list are not acceptable school wear. - FOUNDATION – Polo, cardigan and parent choice for lower garments and footwear. A summer dress is available for girls if desired during summer term. PE – parents’ choice of items from boys/girls sections. Coat – parents’ choice. - YEARS 1 to 11 – Boys: shirt and tie/polo shirt, long-trousers and V-neck sweater. Summer term, as before with option to change to polo-shirt and to wear shorts if desired. Shoes to be black or dark-brown with grey socks if shorts worn. PE – white T-shirt, blue shorts, blue track-top and jog-pants with white sports socks. Coat – parents’ choice. Girls: blouse and tie/polo shirt, choice of skirt, trousers, pinafore, and cardigan. Summer term, as before with the option to change to summer-dress if desired. White socks should be worn with skirts and dresses. Shoes should be black or dark-brown (no high-heels or platforms). Coat – parents’ choice. - SIXTH FORM – School uniform is optional. Dress from home should follow the dress code on appropriateness and modesty. You are reminded that the above IS COMPULSORY and will be monitored by the staff at all times. Should a student attend school improperly dressed, in the first instance their parents will be reminded of the rules and be required to bring uniform items to school to rectify the situation. If there is continued repetition of failing to attend school properly dressed, parents will be required to keep their children at home until the problem is resolved. The school understands that for children joining part-way through the year that there could be exceptional reasons for not having full uniform and that there could be occasional circumstances beyond parental control; on such occasions the school should be contacted immediately and the children sent to school in clothes as close to the uniform as is possible. We thank you for your cooperation and support of our uniform policy.